Adrian Henri (1932-2000) was a much-loved figure in the world of performance poetry, fine art and beyond. Born in Birkenhead, Henri grew up in Rhyl, Wales, during the war years and trained as a painter at King's College, Newcastle where he was influenced by the abstract expressionists and the then newly-emergent pop artists. Painting would always remain a huge part of his life, influencing his writing and running alongside it. He first came to prominence as a poet as part of the Liverpool scene in the 1960s appearing alongside Roger McGough and Brian Patten in the groundbreaking anthology Penguin Modern Poets 10, more famously known as The Mersey Sound. This volume spearheaded the revival in performance poetry and gave it a genuinely popular status, in the words of one critic "wrestling poetry out of the hands of academe and taking it into pubs, clubs and the lives of everyday people." To date the anthology has sold over half a million copies and was highly influential in opening the doors to other performance-orientated artists who followed in subsequent decades including John Hegley, John Cooper-Clarke, Linton Kwesi Johnson and others. The three poets' wit, lack of pretension, street-wise energy and embracing of contemporary culture, combined with Liverpool's pre-eminence in the music scene of the period, all helped imbue the anthology with legendary status. For many people the idea that poetry could open itself to working-class language and landscapes was genuinely liberating. 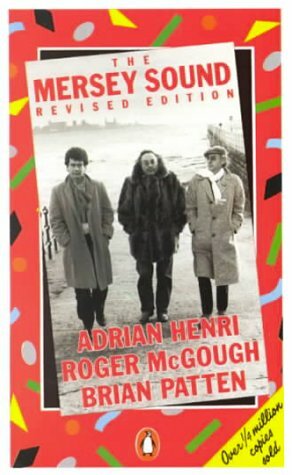 Always a hugely energetic man, the success of The Mersey Sound marked the start of a frenetic period of activity for Henri as he took part in performances around the country and the globe and even formed a poetry band, The Liverpool Scene. Meanwhile he continued to produce his art, winning a major prize for his painting in the John Moores competition in 1972. For the rest of his life Henri happily combined the twin activities of writing and painting, branching out into children's poetry, stage plays and television dramas. He taught at schools, colleges of further education and at both Liverpool and Manchester Colleges of Art, and he also undertook lectureships around the country, writers' tours for the Arts Council and a number of writer-in-residence appointments. He was president of the Merseyside Arts Association and Liverpool Academy of the Arts in the 1970s and was honorary professor of the city's John Moores University. At the end of the 1990s he suffered a severe stroke which severely impaired his capacity to communicate, but he remained undaunted, learning to walk, talk and paint again. However, the illness took its toll and he died in 2000 at the age of 68. Throughout his peripatetic life, Henri had continued to make Liverpool his base, saying there was nowhere he loved better. It was more than appropriate therefore, that just before his death, the city council conferred the freedom of the city on him. Henri's poetry retained a freshness and directness of approach best savoured perhaps in performance when he was often accompanied by musical instruments. Influenced by the French symbolists and the Beat generation, Henri's work was often free in form and rich in imagery. These qualities are to the fore in 'Death in the Suburbs' which captures Henri at a public reading in his beloved Liverpool. The poem itself, with typical verve, imagines if the world were ever to end "it would start ending in Orpington" and demonstrates a characteristic Henri ploy, taking the everyday world and giving it a surreal twist. His reading is charged with the energy of his undimmed political and social commitment, but the piece rises above simple sloganeering in his painter's eye for the objects of the world, both beautiful and debased; the cherry blossom alongside the pre-packaged meals. Although the poem envisages destruction and has a satirical bite, in its energy and closing images of beauty it's typical of the generous vision of this eclectic and tolerant writer. To mark the 80th anniversary of Adrian Henri's birth, a website dedicated to his life and work, including archive material, audio and video footage, has been created. Click on the link above.